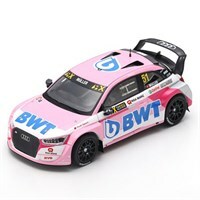 Spark 1:43 resin model of the #51 Audi S1 RX Quattro as driven by Nico Muller in the 2018 Latvia World Rallycross. Spark 1:43 resin model of the #13 Audi S1 RX Quattro as driven by Andreas Bakkerud in the 2018 Great Britain World Rallycross. Spark 1:43 resin model of the #11 Volkswagen Polo R as driven by Petter Solberg in the 2018 Portugal World Rallycross. 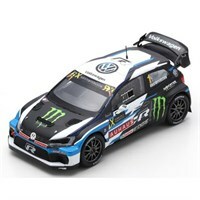 Spark 1:43 resin model of the #1 Volkswagen Polo R as driven by Johan Kristofferson in the 2018 Belgium World Rallycross. Spark 1:43 resin model of the Audi S1 RX Quattro as driven by Mattias Ekstrom in the 2018 Loheac World Rallycross Test. 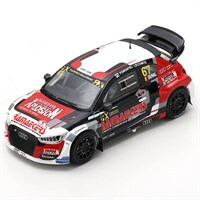 Spark 1:43 resin model of the #67 Audi S1 RX Quattro as driven by Francois Duval in the 2018 Belgium World Rallycross. 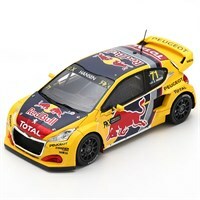 Spark 1:43 resin model of the #71 Peugeot 208 WRX as driven by Kevin Hansen in the 2018 Great Britain World Rallycross. 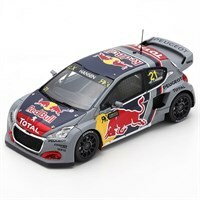 Spark 1:43 resin model of the #21 Peugeot 208 WRX as driven by Timmy Hansen in the 2018 Belgium World Rallycross. Spark 1:43 resin model of the #9 Peugeot 208 WRX as driven to victory by Sebastien Loeb in the 2018 Belgium World Rallycross. 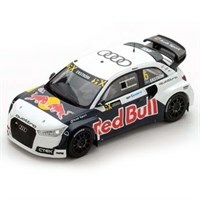 Spark 1:43 resin model of the #5 Audi S1 as driven to victory by Mattias Ekstrom in the 2016 Hockenheim World Rallycross. 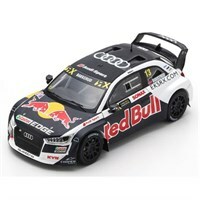 Spark 1:43 resin model of the #1 Audi S1 RX Quattro as driven to victory by Mattias Ekstrom in the 2017 Hockenheim World Rallycross. 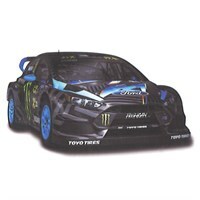 TrueScale Miniatures 1:43 resin model of the #43 Ford Focus RS RX driven by Ken Block in the 2016 FIA World Rallycross. TrueScale Miniatures 1:43 resin model of the #13 Ford Focus RS RX driven by Andreas Bakkerud in the 2016 FIA World Rallycross. 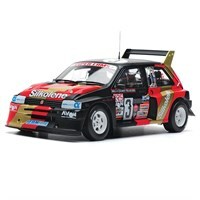 Sun Star 1:18 diecast model of the #3 MG Metro 6R4 as driven by Will Gollop in the 1986 Rallycross.